For over a decade now, CP Pistons has redefined what industry standards should be. They've dedicated themselves to manufacturing high performance pistons that never compromise quality or workmanship. CP Pistons combine their expertise with hi-tech CNC machinery, proprietary tooling and the strictest quality control process in the industry. CP has developed proprietary tooling, dedicated cutters and unconventional fixtures to ensure that each piston is produced to the highest quality. Their 5-axis machining techniques allow them to create any piston while their computerized electronic inspection equipment makes sure they manufacture parts to the tightest tolerances in the industry. Are grooves that protect the top ring by disrupting detonation waves. Also know as contact reduction grooves, these grooves limit the piston/cylinder contact during high temperature and RPM. Is a V shaped groove machined in the 2nd ring land to collect excess blow-by between the top and second ring. This groove collects residual gasses during combustion and alleviates top ring flutter while increasing ring seal. stands for Constant Pressure Groove. This groove works as a channel on the lower part of the top land that equalizes pressure to the back of the top ring groove. When used in combination with lateral gas ports, the CP groove helps keep gas ports clear of carbon build up. In addition, the CP groove prevents the top land from smudging into the top ring if the land rubs the cylinder bore. in conjunction with their dual fed reservoir add twice the amount of oil from the cylinder wall to the wrist pin. Extensive research and development has been done to find the optimum skirt shape for each piston. Having the correct cam and barrel on a part promotes the following: Tighter clearances, Less noise, Better ring seal, More power, Durability. Depending on the forging and application, different cam and barrel profiles are utilized for maximum performance. 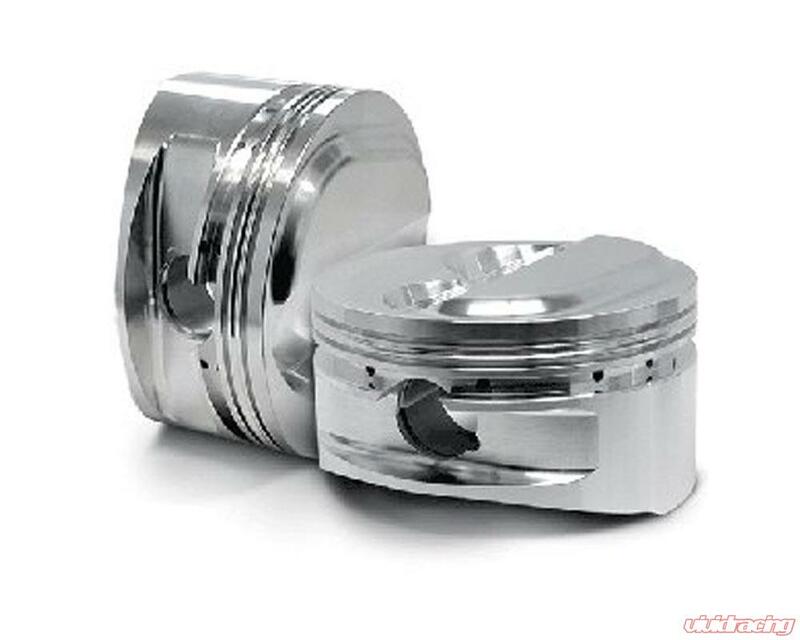 CP Pistons has built a reputation of high end quality pistons, build to perform and out last; especially in power sport and sport compact. They are recognized as a technological leader in piston design and development for all venues for motorsports. We focus on providing industry-leading products and performance while maintaining the highest level of customer service. Proudly made in USA.